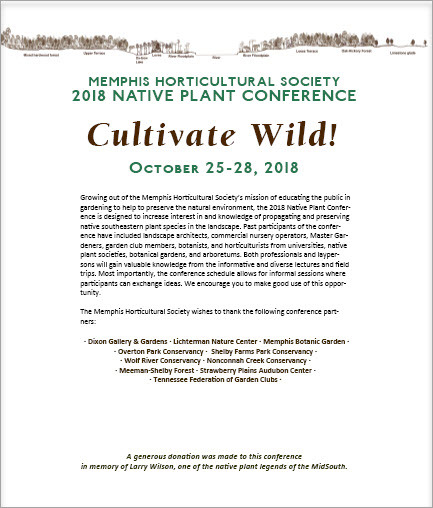 Growing out of the Memphis Horticultural Society’s mission of educating the public in gardening to help to preserve the natural environment, the 2018 Native Plant Conference is designed to increase interest in and knowledge of propagating and preserving native southeastern plant species in the landscape. 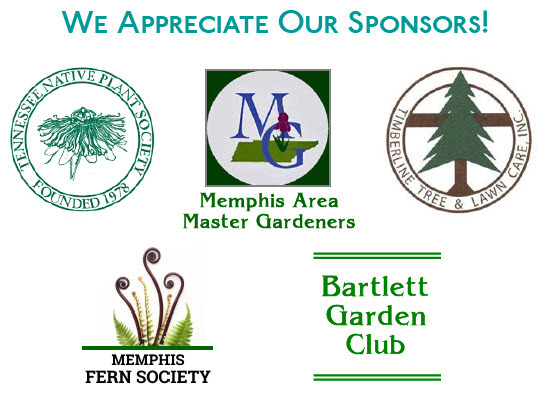 Past participants of the conference have included landscape architects, commercial nursery operators, Master Gardeners, garden club members, botanists, and horticulturists from universities, native plant societies, botanical gardens, and arboretums. Both professionals and laypersons will gain valuable knowledge from the informative and diverse lectures and field trips. Most importantly, the conference schedule allows for informal sessions where participants can exchange ideas. The registration fee for the October 26-27 conference is $175 if received before September 5 and $195 if received after September 5. The registration fee includes the two-day conference Plenary and Concurrent sessions, lunches, Friday dinner and Saturday social.